This interactive map will allow you to view our available lots (highlighted in green) and sold lots (highlighted in red) for stages 1,2 and 3 of the Cape. Nestled in the centre of The Cape estate, home sites in this stage are a short walk to either of The Cape’s two beach access points and an even shorter walk along beautifully landscaped granitic sand paths to the community precinct which features a community farm, sports area, children’s playground, future orchard, café, conference and co-working space and much more. A diverse range of home sites between 313 sq metres and 888 sq metres meaning there is something for everyone. Close to parks, walking promenades, fitness stations and sports facilities. A short walk to Cape Paterson’s surf beaches and safe swimming beaches via the walking track network with no roads to cross. A diverse range of home sites between 446 sq metres and 726 sq metres meaning there is something for everyone. Only 9 kilometers to Wonthaggi shops and services. 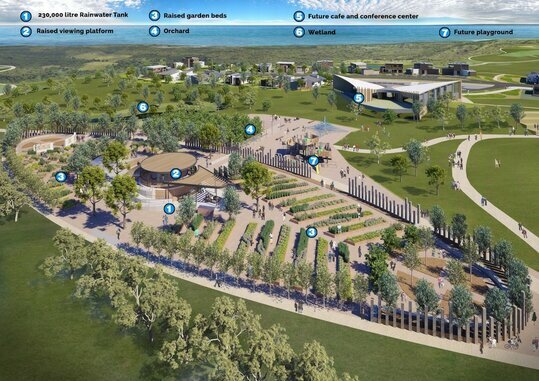 Parks containing the highest ocean viewpoints in the project are located in the Banksia Stage 1 land release. All home sites have good frontages to allow for a passive solar home. 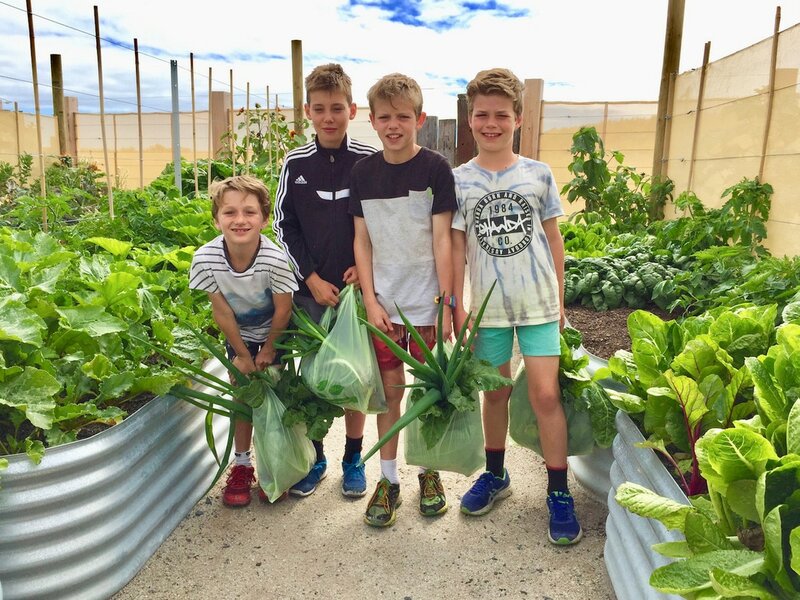 The Cape is proud to feature a specially designed and thriving community garden which will expand as the development progresses, to cover a total area of 5000sqm, therefore it will become one of the largest urban food gardens in Victoria. 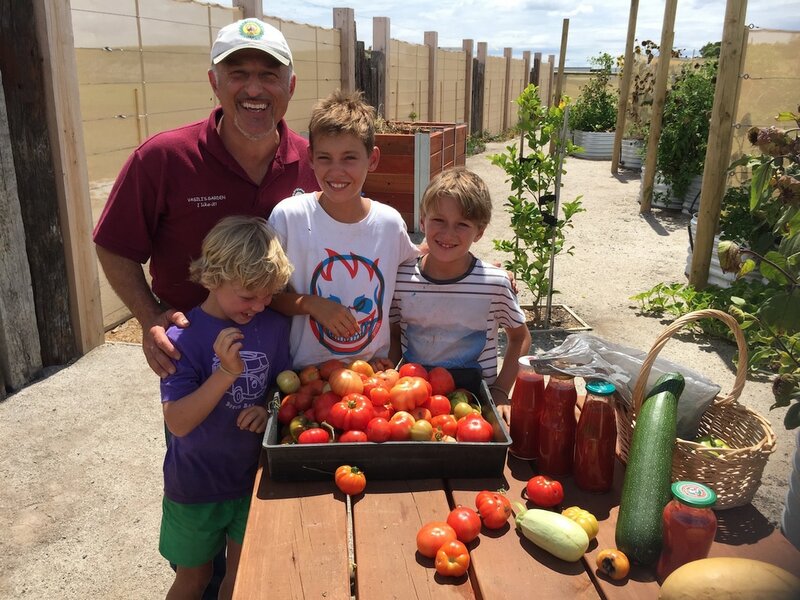 Residents enjoy top quality organic produce and lower food bills, as well as health and social benefits while working their green thumbs. ​There raised garden beds will soon be complimented by a greenhouse, composting areas, worm farms, tool storage, public art, an orchard and poultry. 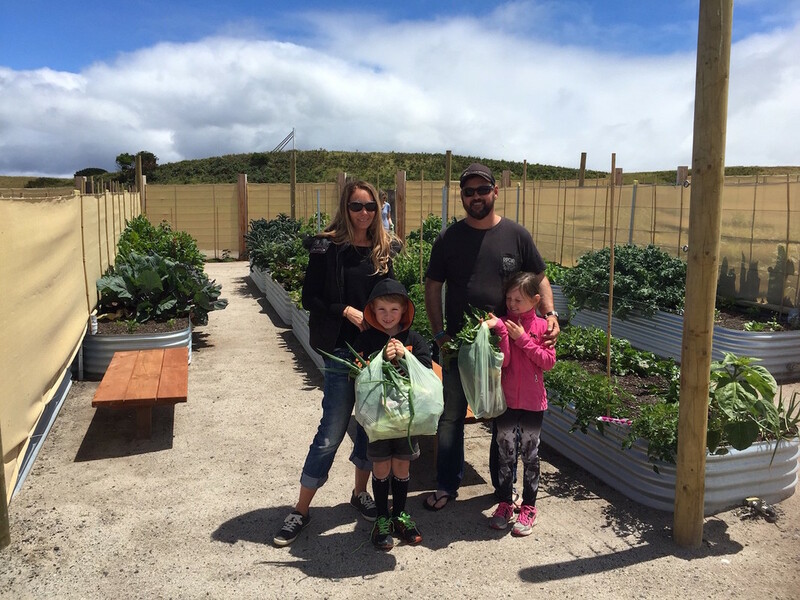 Homes in The Cape which are nearby to the community garden are plumbed to capture rainwater runoff which is then used to water the garden beds. The garden will also feature a recently-developed, vertical wicking garden bed design. At the heart of the garden is the water tank, which will include a viewing platform with wheelchair access, offering elevated panoramic views of the garden, wetlands and the coast. The water harvesting scheme will generate an estimated 3.2 million litres of water for use in the garden, or 3.2 Olympic-sized pools. 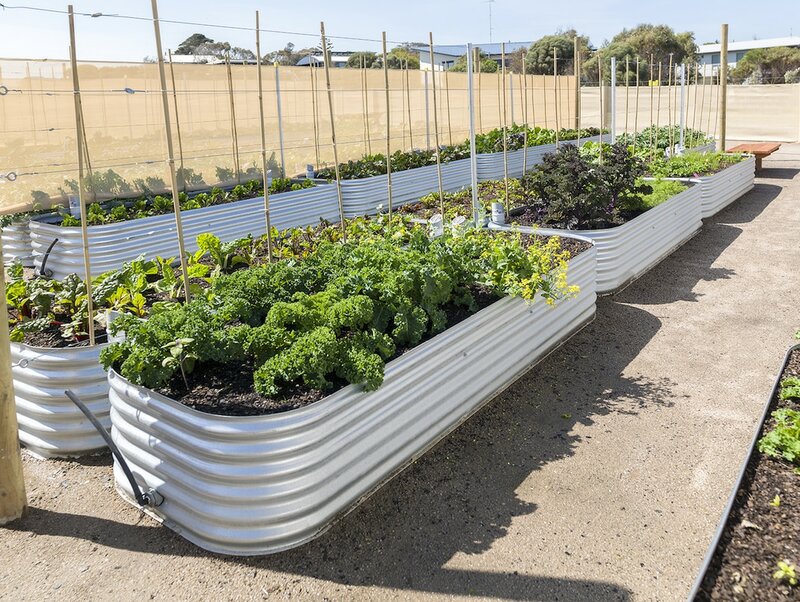 ​The Cape is very excited about the garden and rainwater harvesting project, which we hope will inspire similar endeavours in other cities and towns.